Tamarosa will give you a breath of fresh and clear air, unique landscapes, pleasant atmosphere combined with friendly and warm hospitality. 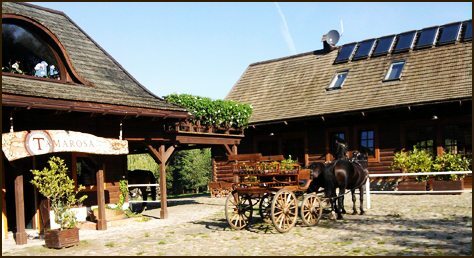 It took us several years to turn an over a hundred years old farm in the charming part of Wielkopolska into a comfortable and cosy guest house, nestled on the property covering 30 ha amid lakes, orchards and mushroom forests.Tamarosa has been created for those of you willing to have close contact with nature at maximum comfort. Exceptional interiors that delight with decor and ambience are the work of our friend artists. We have prepared apartments, double and single rooms as well as a café and club where Our Guests can enjoy the flavour of a home-made cake by the fireplace or play pool with a glass of wine at hand. Our well-stocked cellar will appeal to more sophisticated palates and will surely satisfy your expectations. Tamarosa has been created for those of you willing to have close contact with nature at maximum comfort. Exceptional interiors that delight with decor and ambience are the work of our friend artists. We have a banquet and conference room with professional audio equipment for holding special, artistic, social or closed-circle events (up to 30 attendees) – see Business Offer tab. In Tamarynowa Osada there are also two specially designated open-air sites, fire pit, garden party and barbecue tables. 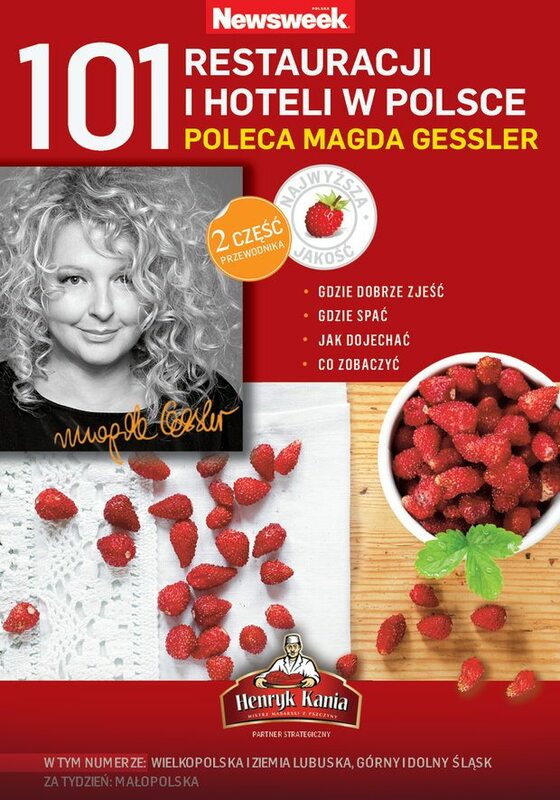 We specialize in the cuisine for gourmets, based on traditional Polish food, with Italian, French and oriental touches. Our meals are prepared using fresh, healthy products, including herbs and seasonal undergrowth. This is the guarantee of top quality and unique flavour of our cuisine, to the satisfaction of genuine gourmets. 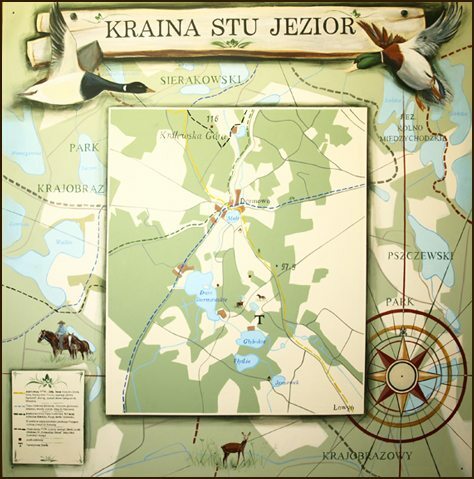 Tamarynowa Osada and its charming surroundings offer an extensive range of leisure activities to be enjoyed outdoors and close to the nature: fishing, tourist and forest walks, cycling or horseback riding. Our horses are well trained and prepared. Amateur horse riders can go for a walk on horseback along Country Track trails under the supervision of an experienced instructor. For more advanced riders we organize Extreme Races. We run a horse pension and provide 24-hour care (read more in Country & Western – Attracktions tab). Special rates are available for groups booked for more than one night. All kinds of social events can be arranged at our Clients’ request.